Ravens running back Ray Rice will only miss 1/8 of the season, despite a nasty-looking offseason incident. When Ravens running back Ray Rice was indicted on a third-degree assault charge after a physical incident with his soon-to-be-wife at an Atlantic City hotel, the team was preparing for Rice to miss three games due to a suspension. Instead, it's reportedly even less than that. According to the Baltimore Sun and our NFL Insider Jason La Canfora, the NFL has suspended Rice for the first two games of the 2014 season and fined him an additional game paycheck. "It is disappointing that I will not be with my teammates for the first two games of the season, but that's my fault," Rice said in a statement released by the team. "As I said earlier, I failed in many ways. But, Janay and I have learned from this. We have become better as a couple and as parents." Said coach John Harbaugh: "There are consequences when you make a mistake like that. I stand behind Ray. He's a heck of a guy. He's done everything right since. He made a mistake. He's gonna have to pay a consequence. It's good for kids to understand it works that way. That's how it works. That's how it should be." Commissioner Roger Goodell met with Rice and his wife after the incident, and on Thursday, the NFL released the letter Goodell sent to Rice announcing the suspension. “As you acknowledged during our meeting, your conduct was unquestionably inconsistent with league polices and the standard of behavior required of everyone who is part of the NFL. The league is an entity that depends on integrity and in the confidence of the public and we simply cannot tolerate conduct that endangers others or reflects negatively on our game. This is particularly true with respect to domestic violence and other forms of violence against women. “You will be expected to continue to take advantage of the counseling and other professional services you identified during our meeting. As you noted, this additional assistance has been of significant benefit to you and your wife, and it should remain a part of your practice as appropriate. But if that suspension seems awfully lenient, well, yeah, we can understand why you would feel that way. 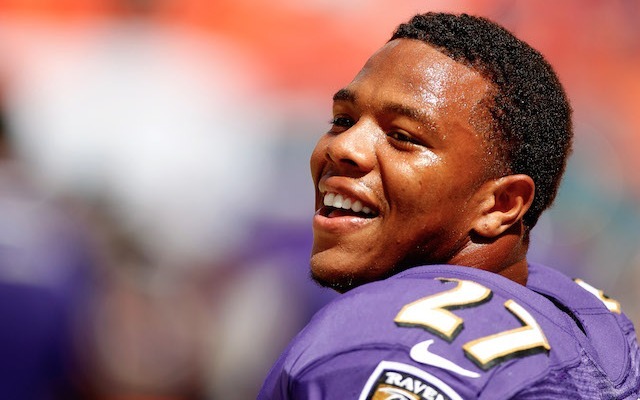 Ray Rice would have had a longer suspension if he'd smoked weed with his then-fiancee. Rice, meanwhile, has entered a pretrial intervention program, and assuming he completes that, he wouldn't receive any jail time for the incident.